Austral Fisheries is one of Australia’s largest integrated commercial fishing companies with interests in both deep sea fishing and at sea prawning. 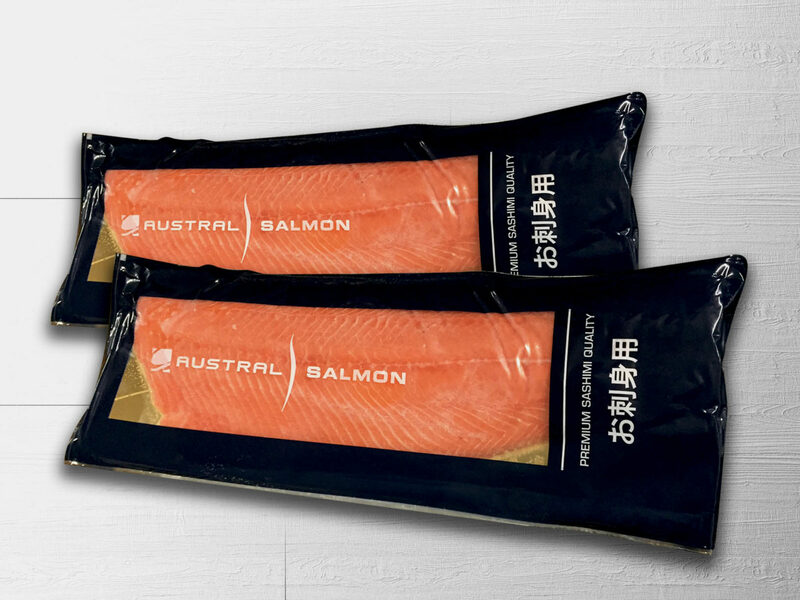 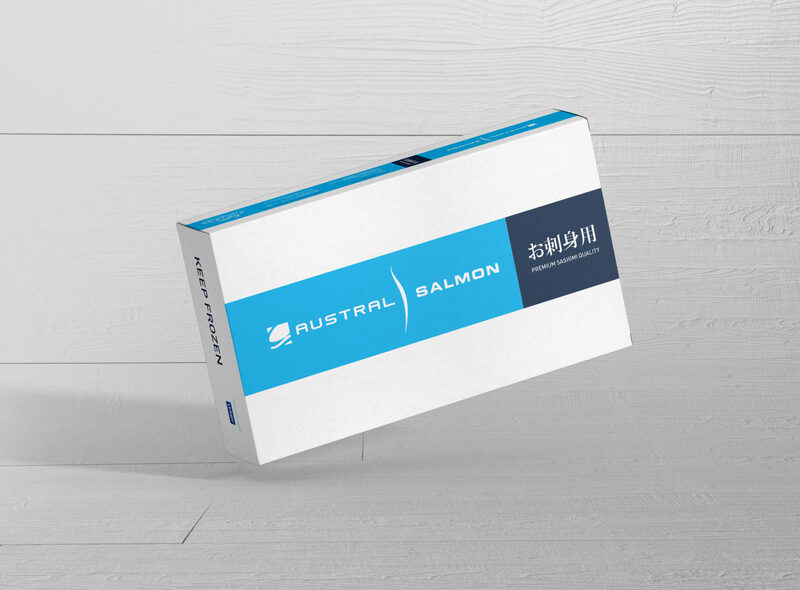 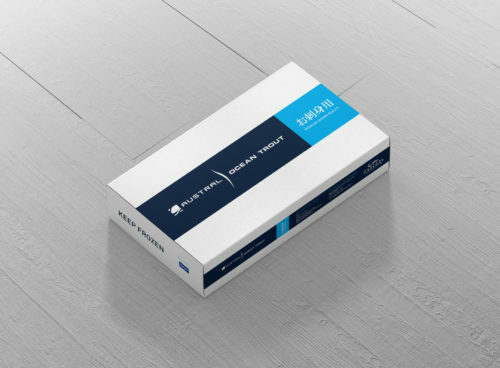 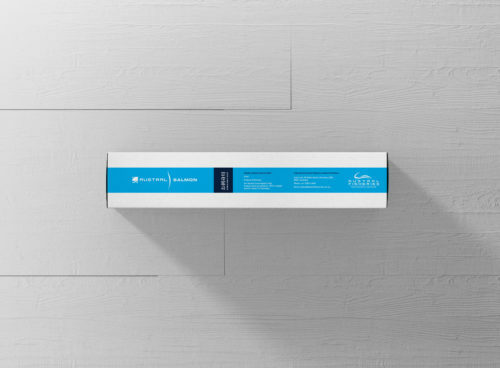 Austral Fisheries commissioned Indepth to create a couple of box cartons for their new range of Salmon and Trout sashimi portions. The style they required was clean and prestigious, to reflect the product which was a high grade of Salmon and Trout sashimi. 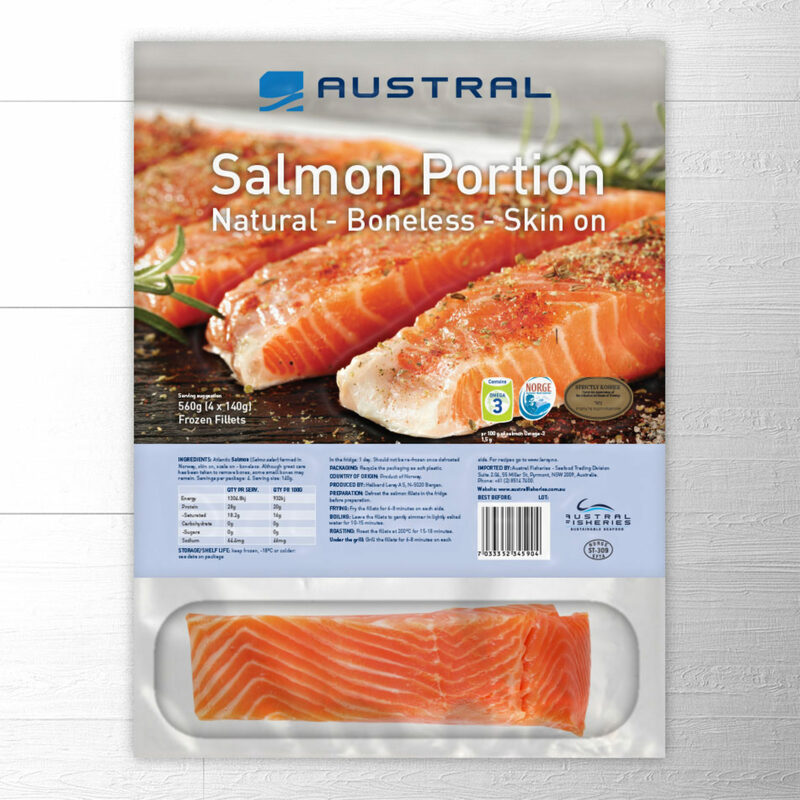 We recreated the Austral banding icon to replicate the look of a Japanese square stamp and the typography to echo the square shape. This was then placed within a blue strip with plenty of clean, white space around. The client was extremely satisfied with the final look and feel of the finished product.